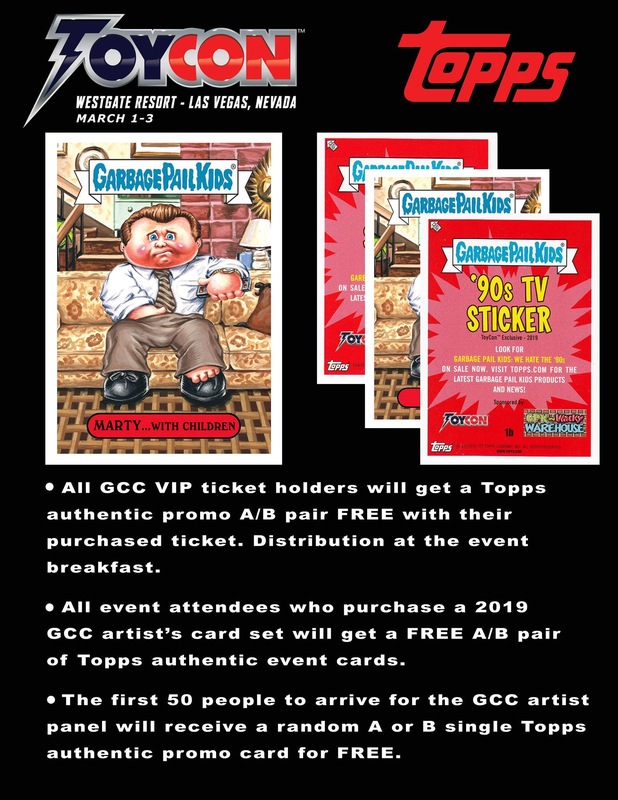 Artist David Gross announced today his artwork based on an Al Bundy gag will be an officially licensed Topps Garbage Pail Kids Promo card at the upcoming Gross Card Con. Both VIP holders and event attendees purchasing a show exclusive card set will receive both the a and b versions of the card. In addition the first 50 attendees to arrive for the artist’s card chat will receive one random version. The card features Al Bundy from the popular 90’s TV show, Married Wirh Children. 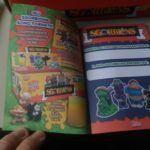 The back of the card advertises the current GPK retail set, We Hate the 90’s, and features sponser logos of ToyCon and GPK & Wacky Warehouse. This year’s Gross Card Con is set to take place March 1-3 in Las Vegas at the Westgate Resort. 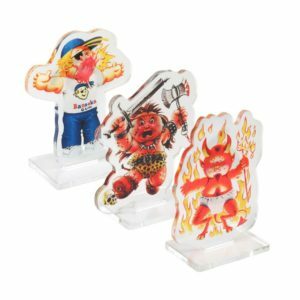 Thanks to GPK collector Henry Mora for finding these picts online. 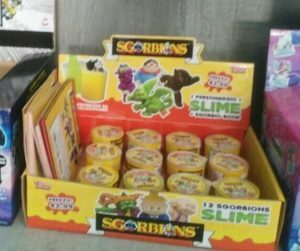 It appears Topps, maybe with another company, has launched Sgorbions Slime. 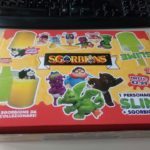 Sold at news stands in Italy for €2.99 each, the box appears to start there are 12 different ones. 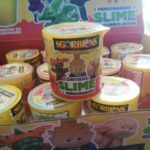 Based on the packaging each container contains some slime and 1 GPK character. 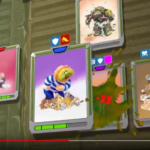 They look a lot like the old Minilkins. 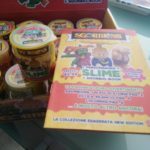 If anyone knows any Italian or has information on the release please comment on the article. 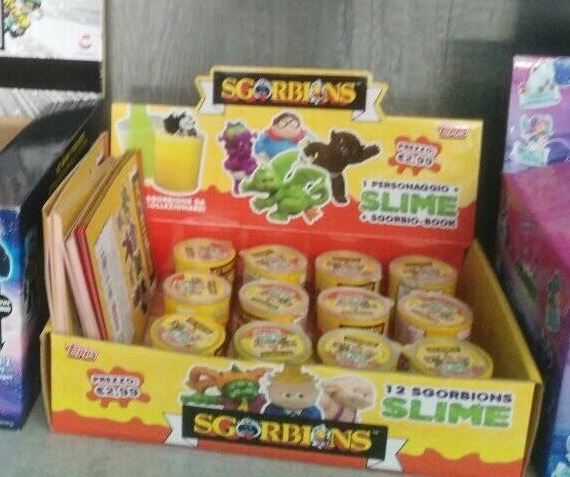 Update: There is also an activity book that comes with each container of slime. 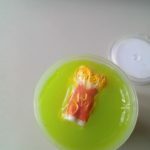 See below for more pictures from some Itilian Facebook pages and a news stand in Italy. Remember back three months ago to the New York Comic Con? Seems like forever. 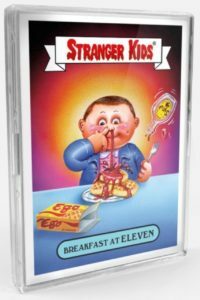 That’s when Topps debuted their Garbage Pail Kids and Stranger Things crossover set, 2018 GPK Stranger Kids set. The set was sold first at NYCC as separate 20 card “A” & “B” sets. Customers purchasing both sets at NYCC received one of four show exclusive cards. 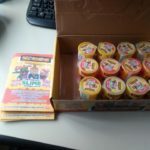 After the show was over Topps listed both 20 card sets on topps.com, again priced at $20 each. In an uncharacteristic move, the sale lasted for 90 days! Well that sale finally ended this week. Topps revealed the print run of both sets. According to Topps, the “A” set sold 688 copies, while the “B” set sold 566. What is not known is if that total includes NYCC sales, or just online sales. GPKNews has reached out to Topps to clarify, if they respond this article will be updated. 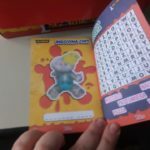 Topps has not revealed the print run information for the NYCC show exclusive cards. 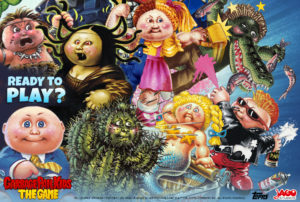 This puts the GPK Stranger Kids set as one of the highest produced GPK online sets to date. 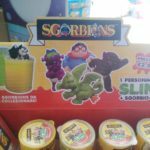 It will be interesting to see if we see a series 2 of this down the line. GreenLight Collectibles, a company that specializes in both custom and licensed die-cast cars will be offering an officially licensed GPK themed line of cars coming later this year. 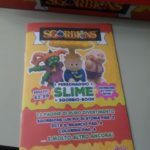 The website ZA3collectibles.com has a mock-up image of the packaging. 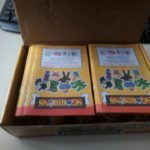 Two packages are shown. One is a 1979 Pontiac Trans Am themed after the Riot Festus GPK card. The second is a 1974 Ford F-250 Monster Truck based off the Buck Truck GPK card. The packaging states this is Series 1 of the “Limited Edition” cars. 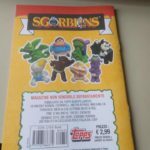 The packaging also comes with a peel-able sticker. GPKNews reached out to GreenLight for comment. The company confirmed the license deal with Topps, and said they would have more information at a later date. According to ZA3Collectibles the cars will be launching in the Fall of 2019. 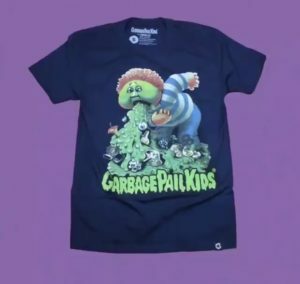 Update: Creepy revealed the 3rd new shirt they will have available later today. 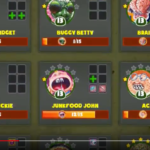 Richie Retch gets added to the roster. The shirts should go live this evening at 7:00 PM Central time. 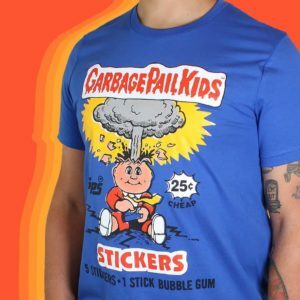 Update: This morning Creepy Co. posted they will have three new shirts available this Wednesday, including a blue OS 2 wrapper shirt. Creepy Co. is at it again. 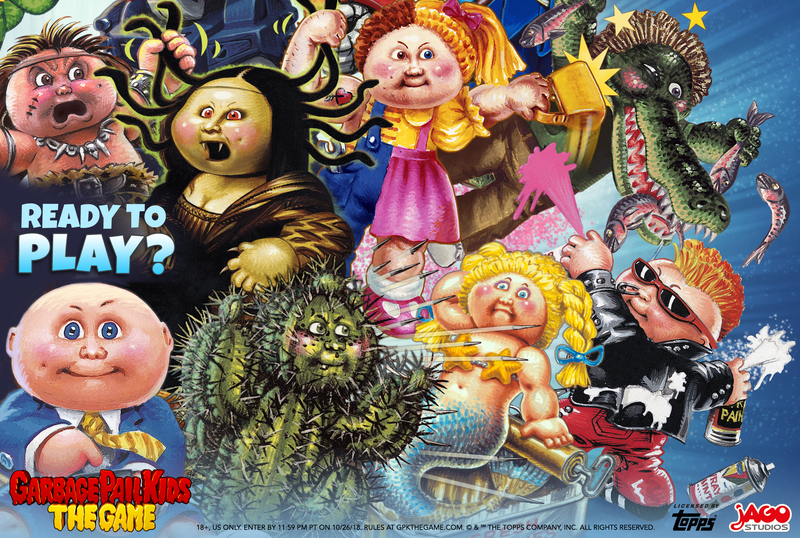 On Friday they announced via their various social media channels there is a mini-GPK launch coming this week. 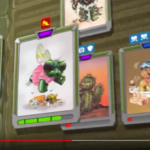 The picture associated with the posts features Alien Ian. The only other hints are hashtags for #GPKminirelease, #alienian, and #marsattacks. Their GPK-mini releases usually feature only 1-2 products, usually a t-shirt with some restocks. There is no release date mentioned. Typically Creepy releases merchandise on Wednesdays at 7:00 PM Central time. I will update this post throughout the week as more info becomes available. 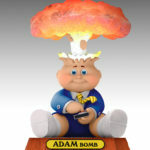 Officially Licensed Adam Bomb Statue Coming Soon? There is a new high end licensed Adam Bomb statue in the works, and it’s huge! 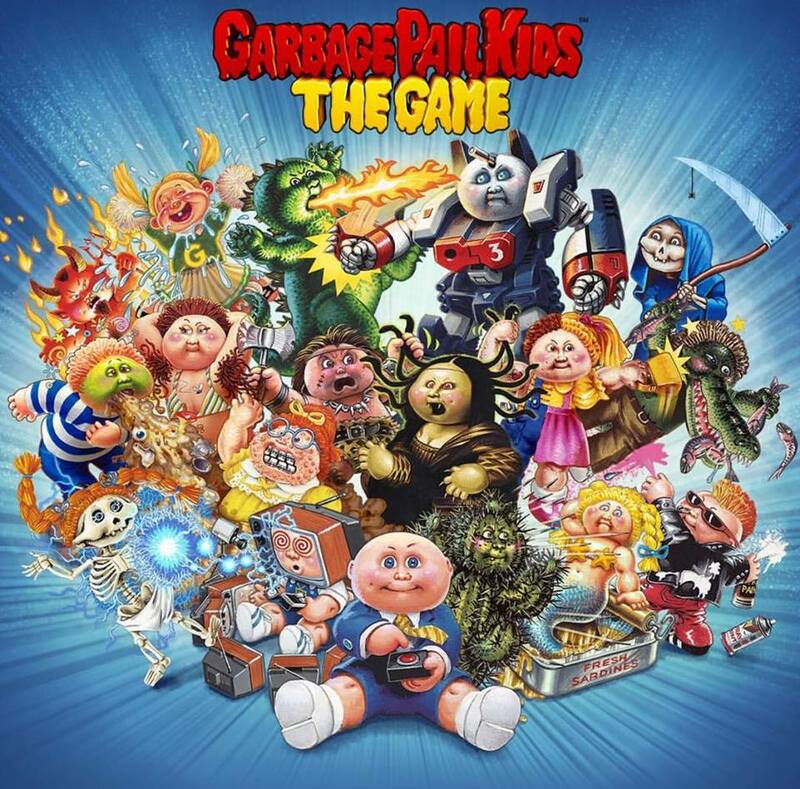 The figure is still in the planning stages, and the developers are looking for feedback from the Garbage Pail Kids community on a number of topics. 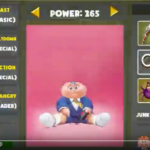 The figure is being developed by Hobby DB with assistance from GeePeeKay.com. 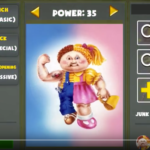 Hobby DB is newer in the GPK scene. 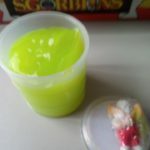 Their website is focused on chronicling all types of collectibles. 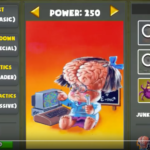 Matt Oldweiler, owner of GeePeeKay.com, is part of Hobby DB’s Advisory Council for GPKs. 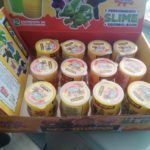 (Full disclosure, GPKNews.com has a working relationship with GeePeeKay.com, but has not been involved with this project.) 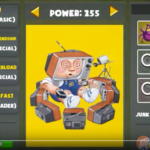 Together they have been working for months with manufacture Power Up Factory on this first of its kind entry in the GPK marketplace. The figure is officially licensed by Topps, and Topps has already approved the design. 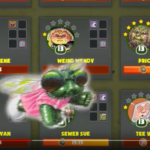 The developers are aiming for a high end extremely detailed figure. 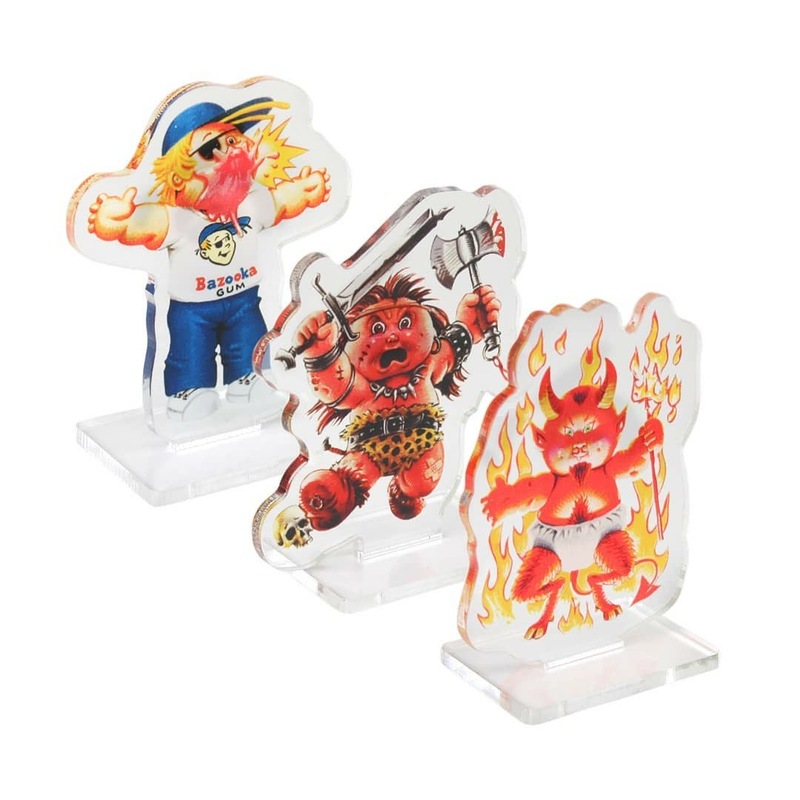 Their goal is to remain true to the original art on the Adam Bomb card. The figure stands a mighty 14″ tall, and is on a weighted base with an embossed nameplate. 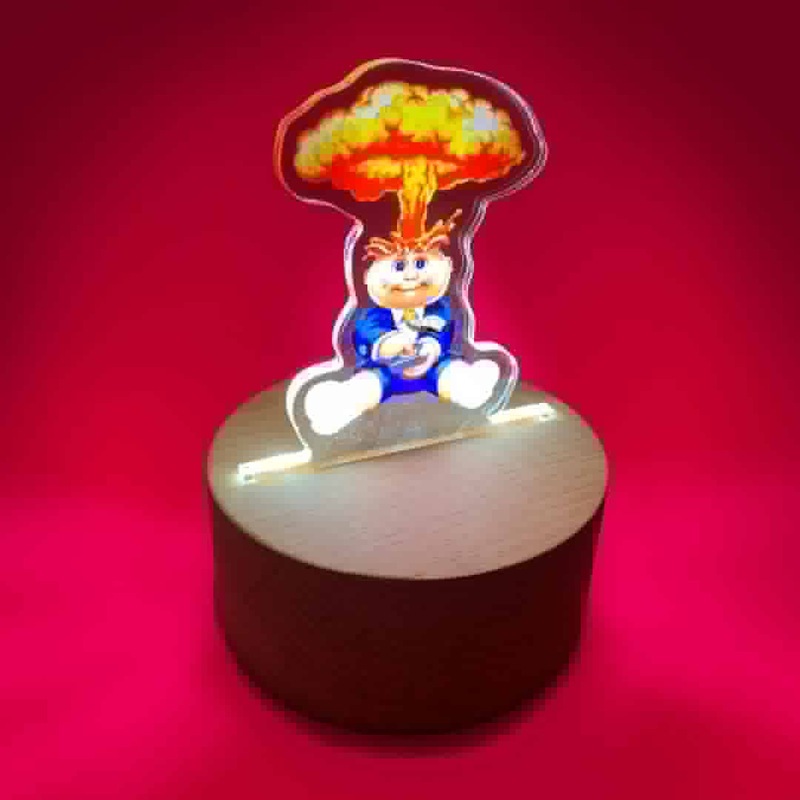 The figure also has LED lights inside the mushroom cloud to make it shine bright. 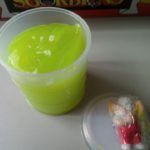 The figure is made from hard molded resin. Both a blue jacket Adam Bomb, and red jacket Blasted Billy are being considered for production. 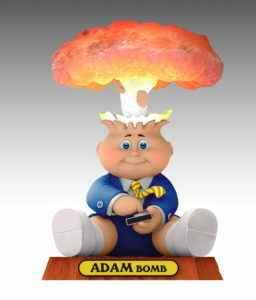 The figure will also come with an exclusive Adam Bomb card featuring the original rough art from John Pound. 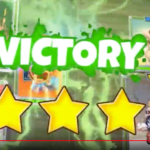 So how do you get one? 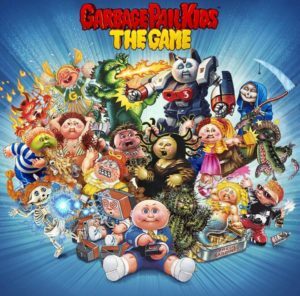 Not so fast….This is where you the GPK collector can have some actual input on the product. 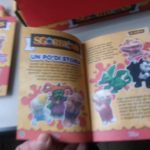 With this being a very high end detailed collectible, the developers are looking for feedback from collectors on a number of topics. 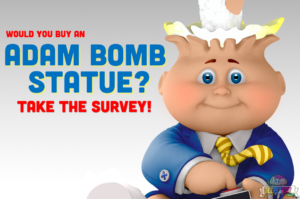 In the survey there are questions on what’s important to you in a high end statue, a number of questions on pricing, and finally questions gaging your interest. Final production in part will be based on results of this survey, so let your voice be heard. Head over to GeePeeKay.com’s Facebook page now to take the survey. The fine folks at Creepy Co. are back with new shirt to extend your Halloween wardrobe. 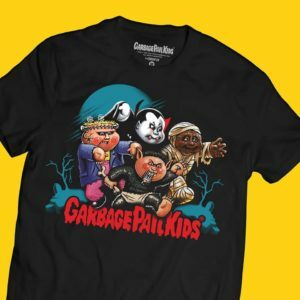 Today at 7:00 PM (Central) the Monster Squad shirt will be launching. 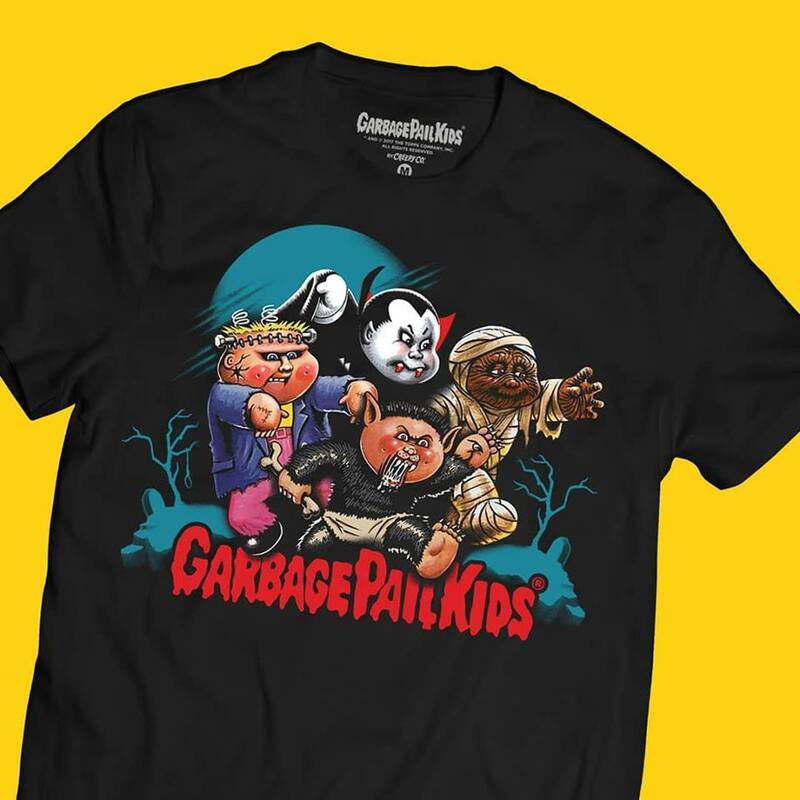 The black shirt features the characters Nasty Nick, Wrapping Ruth, Eerie Eric, and Frank N. Stein all taking a stroll through a graveyard. 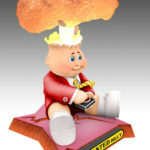 Creepy Co. is also restocking their GPK coach jacket and Adam Bomb socks. 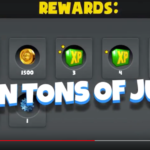 This is the only new item planned for October. Stay turned for some more goodies coming from Creepy Co. soon!